At Zahonero we are locally international. Our global presence and experience serving diverse industries helps us to develop better and more creative foam solutions. 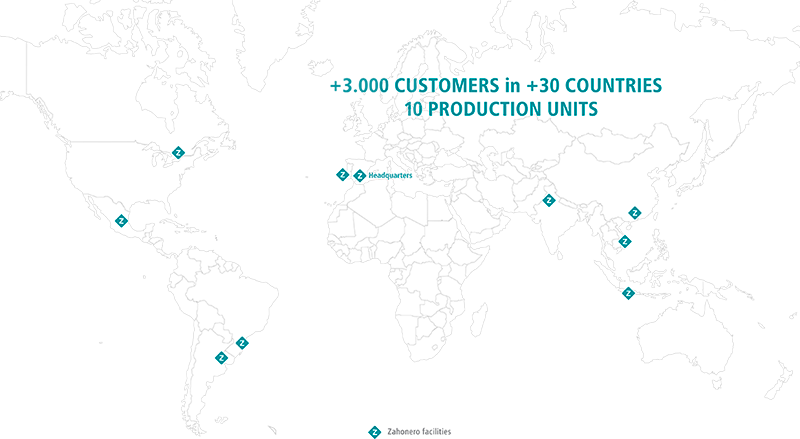 With comfort as our main competitive edge, we have spread our excellence throughout more than 30 countries. For any other query you might have, please fill out the following questionnaire.